New Item! Expected to Ship 06-02-2019. 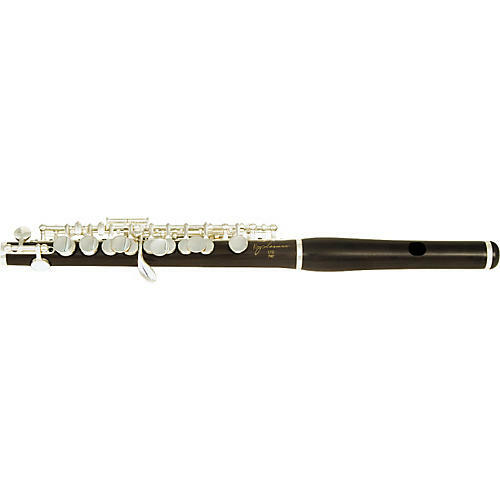 This all Grenadilla wood piccolo with solid silver keys is a tribute to the legendary piccolo maker Roy Seaman. Handcrafted to produce the warm, rich sound that blends so beautifully with other acoustic instruments, this instrument has long been recognized for its outstanding craftsmanship and performance. It features a conical bore, a special scale design for consistent response, and intonation throughout all registers. The Roy Seaman Signature Piccolo comes with a deluxe case and cleaning rod. Grenadilla wood head and body.